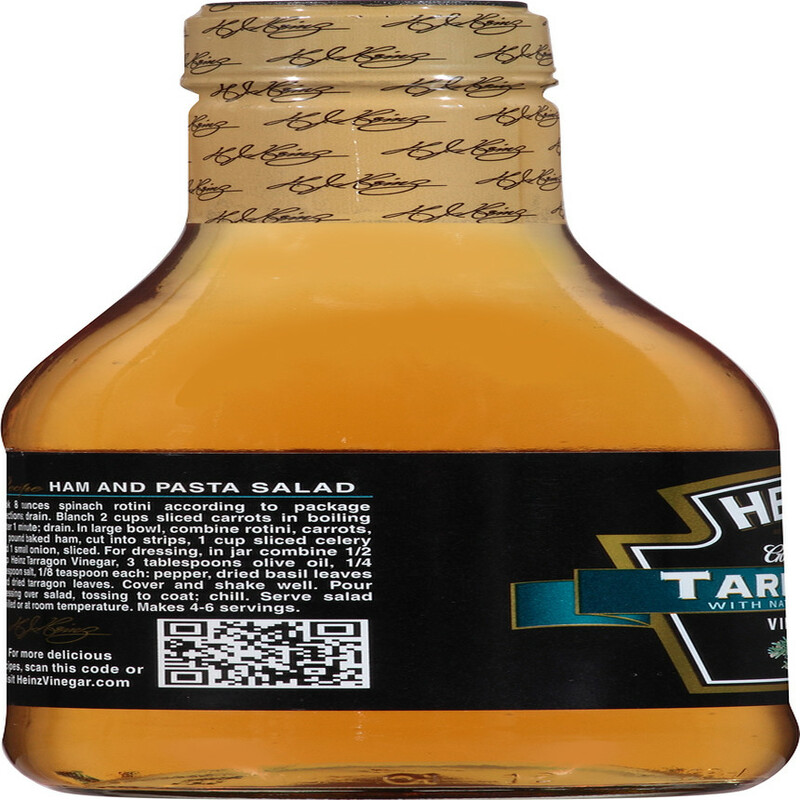 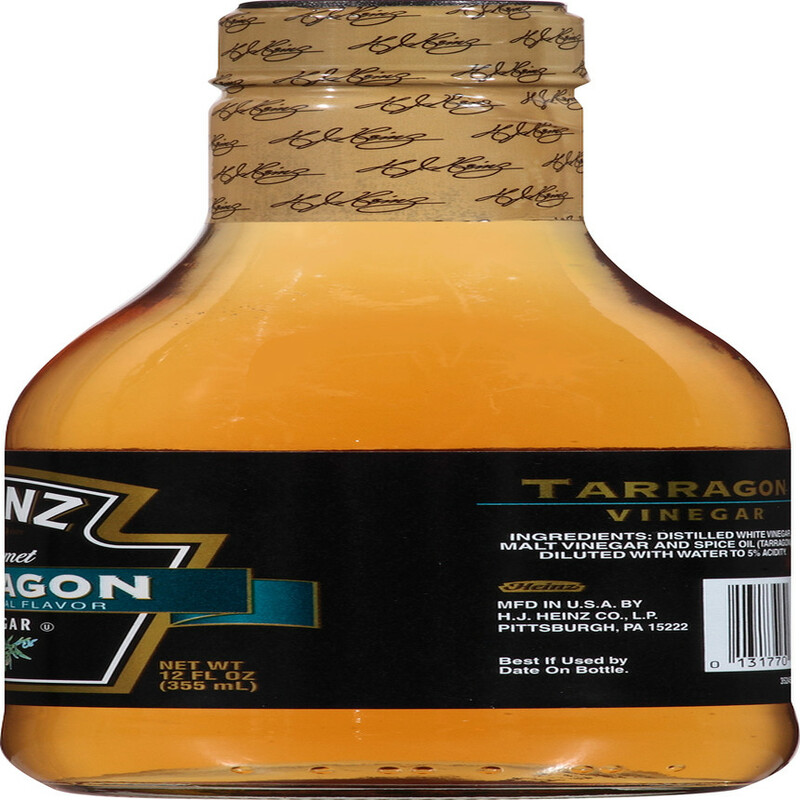 Heinz Tarragon Vinegar is a blend of Malt and Distilled White Vinegars with the addition of tarragon, a bittersweet herb with a warm, licorice/anise aroma. 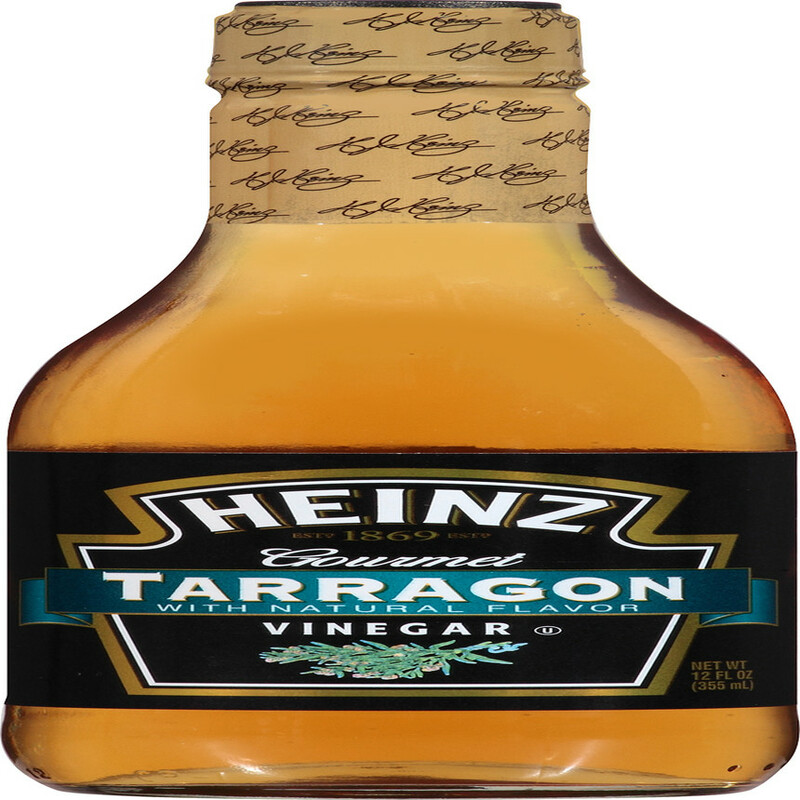 Tarragon Vinegar is a favorite on meats, salads, fish or eggs. 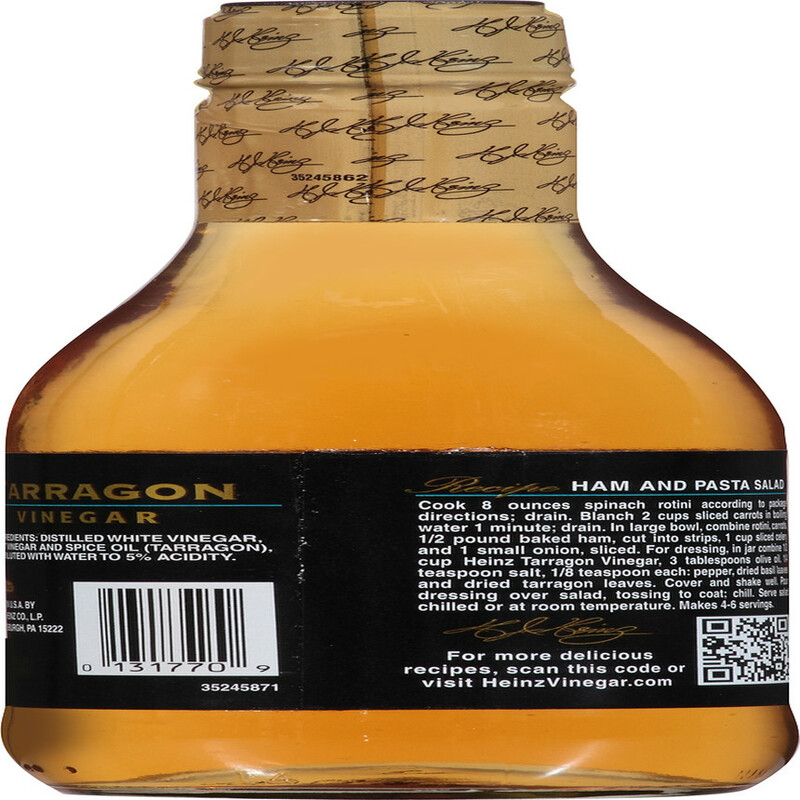 DISTILLED WHITE VINEGAR, MALT VINEGAR AND SPICE OIL (TARRAGON), DILUTED WITH WATER TO 5% ACIDITY.